Our senior thesis students have been engaged in exciting research all year. Read more about the work that Nicholas Rudman has been doing and join us in congratulating him on submitting his thesis! In this project, I examine the way in which the Roman historian Tacitus uses death scenes in his chronicle of the Julio-Claudian principate, titled the Annales. Specifically, I argue that deaths serve as structural elements of the work, around which Tacitus organizes the other events of his history. I develop this main point through two smaller ones. The first is that death scenes mark points of transition in the Annales, highlighting changes in Rome’s balance of power, the introduction of new characters, and shifts in the relationship between the emperor and the senate. The second is that deaths trace the progression of the emperors into greater and greater tyranny, as they murder their victims with increasing openness, and Rome’s elite becomes less able to resist their schemes. My interest in this topic first began to emerge when I learned about the exitus, a subgenre of Roman literature that depicted the final moments of famous individuals. Then, in my junior year, I read the introduction to Tacitus’ Dialogus de Oratoribus, in which the author describes how a playwright incurred the emperor’s anger by writing an exitus of Cato the Younger. This suggested to me that Tacitus was keenly aware of the impact, as well as the danger, that this subgenre could have, so I was curious to see how this awareness would manifest itself in the Annales. From there, I made a list of all of the named characters to die in the history (155 in total!) and began to look for patterns, ultimately leading me to my final topic. What was your favorite part of researching and writing the thesis? My favorite part of writing the thesis was the fact that its longer length gave me the freedom to develop arguments in as much detail as I wanted. In other words, since I was not constrained by a page limit, I could explore all of my points deeply, and could add further arguments if I felt that they were necessary. In fact, some of the parts of the thesis that I enjoyed writing the most were not things that I had initially planned to include, but which caught my interest while writing. I think the ability to add these sections both led to a stronger argument and helped make the writing more enjoyable. What was the hardest thing about the whole process? I would say that the hardest thing about writing the thesis for me concerns my writing style. In general, I think that I can be fairly repetitive, an issue that would be particularly problematic for a project of this length. Fortunately, my research introduced me to a wide variety of writings styles, and I attempted to adopt elements from the scholars whose works read most smoothly. I think I had some success with this, and that my academic writing has improved considerably as a result of working on the thesis. I am planning to attend the University of Illinois at Urbana-Champaign in the fall, pursuing a doctoral degree in their Classics department. 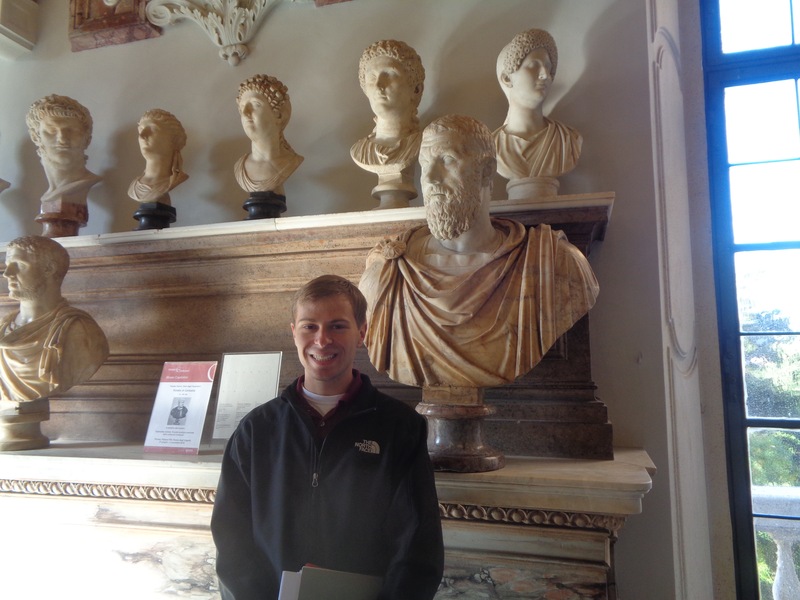 I am quite excited to continue my work on Flavian literature with Dr. Antony Augoustakis! Please join us in wishing Nicholas all the best in his coming adventure!